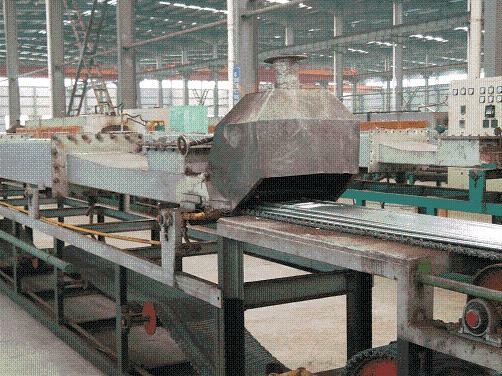 The annealing temperature vary from 820 to 1200 Centigrades. The furnace is operated under an atmosphere gas up to 100% to avoid any risk of oxidation on the surface. The furnace can be heated per gas fired solution, electrical heating or induction coil solutions or a combination of those heating. The cooling solution avoid the use of stabilizing roll and so avoid the risk of strip damage with the use of our supplier's patented solution.